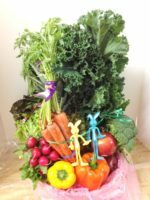 The Pedestal Fruit and Cookies design is unique to Basket Express! 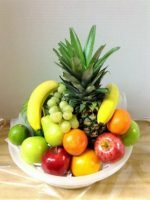 We fill a bowl with assorted fruits such as apples, oranges, bananas and pears, and then add seasonal fruits as available such as grapes, strawberries, mango or whatever looks the freshest from the garden. Then we add about 20-24 cookies, baked fresh by a local bakery, and a few chocolates for good measure! 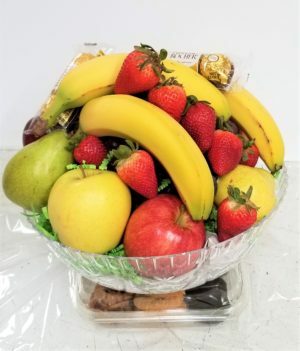 Custom designed so each arrangement is different, we know the Pedestal Fruit and Cookies basket is going to be a winner for you! Perfect for a funeral or sympathy, when wrapped with a white bow, we’ll change the ribbon to your choice of color or design depending on the occasion. 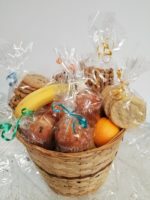 Great for a new home or family celebration, you will be the star of the party when you order this great gift basket from Basket Express! Perhaps you might prefer our Grab and Go Extraordinaire or our Arizona Lottery Gift Basket.